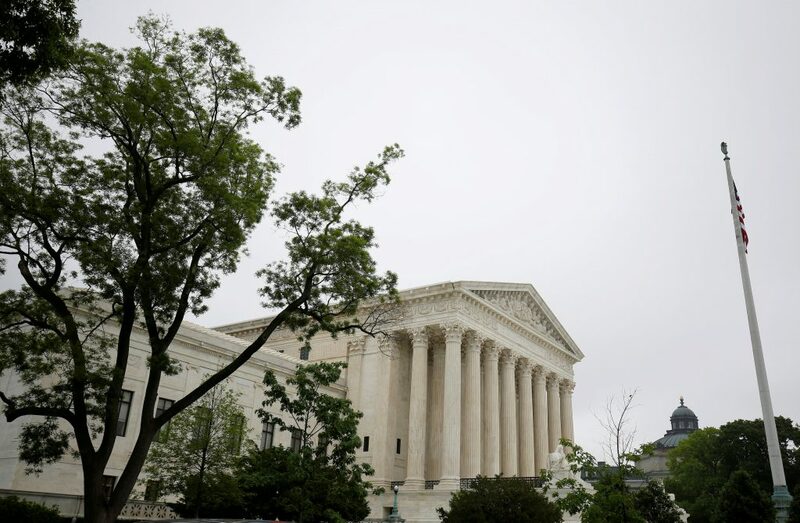 The justices heard an hour of arguments in an appeal by a company called Virginia Uranium, Inc. seeking to revive a lawsuit thrown out by a lower court that aimed to invalidate Virginia’s ban, enacted in 1982. The company has said that ban conflicts with a federal law regulating nuclear power generation. At the center of the dispute is the largest-known U.S. uranium deposit, located beneath a privately owned estate in Pittsylvania County in southern Virginia, near the North Carolina border. The company, a subsidiary of Vancouver, British Columbia-based Virginia Energy Resources, is seeking to exploit the deposit, valued at about $6 billion. Uranium, a main source of fuel for nuclear power plants and material in nuclear warheads, represents a vital resource for electricity and national defense. Virginia enacted its ban on uranium mining amid concerns about environmental and public safety hazards. Liberal Justice Stephen Breyer and conservative Justice Samuel Alito signaled that courts should look to the Virginia legislators’ motives in passing the law to determine whether it regulates only mining, as Virginia argues, or tries to curb radiological hazards, a matter that must be left to the federal government. “I think that’s our job as a court in a relevant case to determine what the purpose is,” Breyer said. Some liberal justices, as well as conservative Justice Neil Gorsuch, appeared to side with the state. Gorsuch told U.S. Solicitor General Noel Francisco, who argued on behalf of President Donald Trump’s administration in support of the company’s position, that the U.S. Congress could have prevented states from regulating uranium mining but did not. “So why isn’t that the end of the case?” Gorsuch asked. The company has extolled the economic benefits for Virginia, saying uranium mining could mean more than a thousand jobs annually and billions of dollars for the local economy. It has also emphasized uranium’s critical importance in nuclear weapons and powering U.S. nuclear submarines and aircraft carriers, noting that most uranium used in the United States is imported, including from “geopolitical rivals” such as Russia. The dispute concerns whether the federal Atomic Energy Act of 1954 preempts Virginia’s mining ban under the U.S. Constitution’s so-called Supremacy Clause, which holds that federal law generally trumps state law. The Atomic Energy Act gives the federal Nuclear Regulatory Commission the sole power to regulate radiation safety standards for milling uranium ore and disposing of waste byproducts known as tailings, key steps in the production of nuclear fuel. But it does not cover conventional uranium mining on non-federal land. Virginia has said federal law specifically allows it to ban uranium mining. It has the support of several other states concerned about protecting states’ rights, including Indiana, Texas, Massachusetts and Oregon. The plaintiffs, also including Cole Hill LLC and Bowen Minerals LLC, sued Virginia in 2015. The Richmond, Virginia-based 4th U.S. Circuit Court of Appeals last year upheld a trial judge’s ruling to toss out the lawsuit.